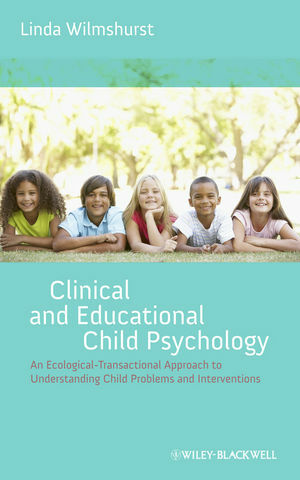 Clinical and Educational Child Psychology: An Ecological-Transactional Approach to Developmental Problems and Interventions explores developmental milestones in early childhood and adolescence and provides intervention strategies in both clinical and educational contexts. Linda Wilmshurst is an Associate Professor, Psychology Department, Elon University, North Carolina. She has authored several books and research papers on child and adolescent disorders. She has also practiced in the field as a clinical psychologist and educational (school) psychologist.